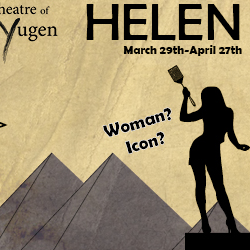 Theatre of Yugen presents Ellen McLaughlin’s witty Helen, a modern adaptation of Euripides’ classic; exploring beauty, gender, archetypes, societal expectations, and war. The gods have imprisoned the notorious Helen of Troy in an Egyptian hotel room. For 17 years, she awaits her rescue. Will her new visitors save her? Will she save herself? Will she reclaim her own story? 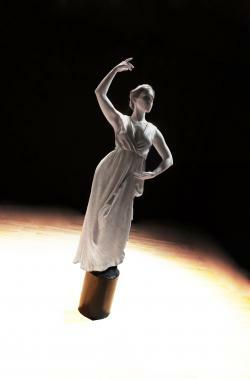 March 29 to April 27.Fridays & Saturdays (8pm), Sundays (1:30pm). April 20 & 27 also at 1:30pm.